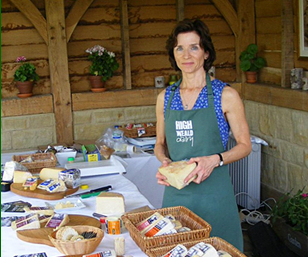 Brighton Blue has been recognised as one of the best cheeses in the world in the 30th annual World Cheese Awards. At the 2017-2018 World Cheese Awards Brighton Blue was pitted against more than 3,000 cheeses from 35 different countries. 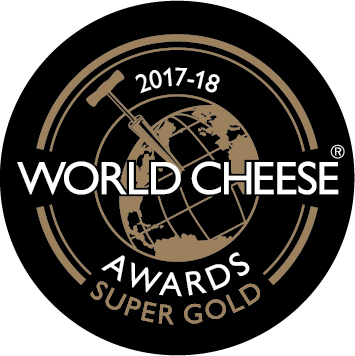 Against some tough competition, it was recognised as one of the top 66 cheeses in the world, receiving a prestigious Super Gold Award. The judging panel at the event on London on November 17, 2017 saw cheese experts including cheese makers, buyers, retailers and writers assessing the cheeses on their rind, body, colour, texture, consistency and, above all, taste. It’s one of our favourite cheeses to make at the dairy and perhaps the reason the judges rated it so highly can be traced to the most important ingredient – the care and attention that we put in to it. 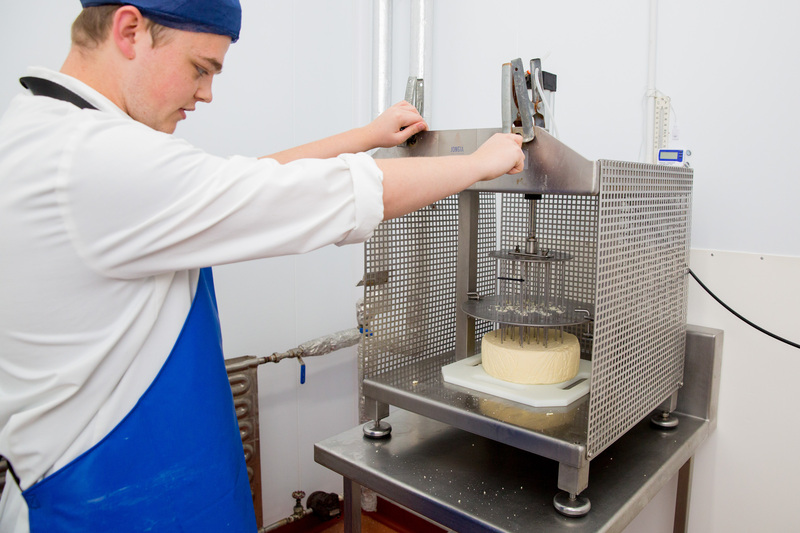 Although all the cheeses we make at the High Weald Dairy involve a lot of work from our skilled cheese makers, Brighton Blue requires an even more hands-on approach. 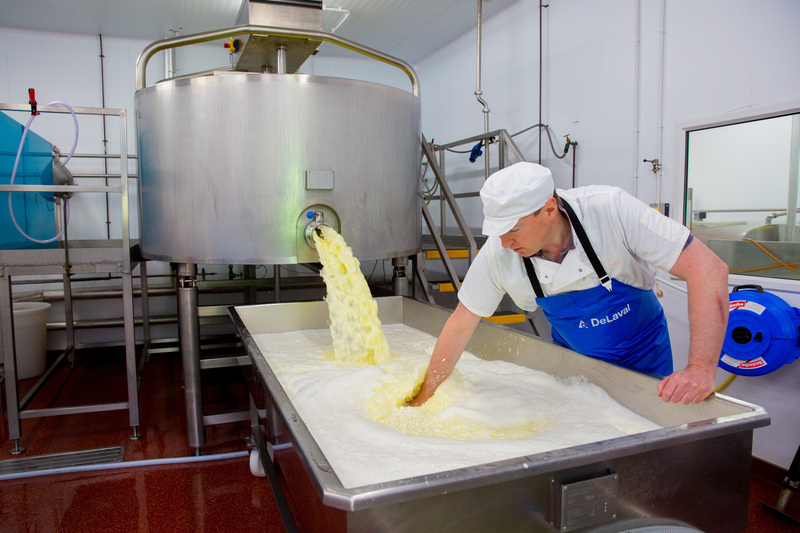 The cheese makers’ skill is in knowing, by touch, when the curds are at the right consistency to make the perfect cheese. The cheese is only lightly pressed because a more open texture, than for example a firm hard cheese like our cheddar-style Tremains Organic, lends itself to good veins in a blue cheese. 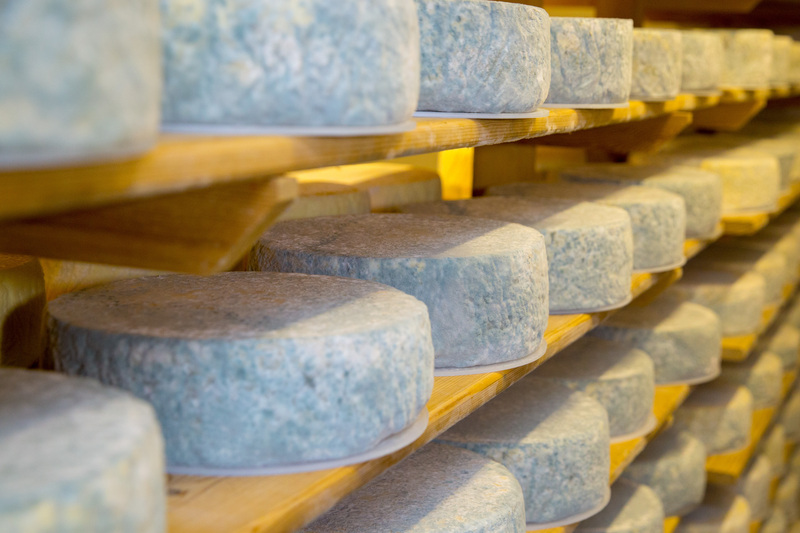 Each cheese wheel, or truckle, is pierced with stainless steel spikes so air can enter the cheese which allows the blue mould, added at the start, to wake up and create the magic mellow blue. It is then placed on the wooden slatted shelves of our cheese maturing room where it remains for up to three months. It is this maturating process that puts the blue in to Brighton Blue. During this time, the cheeses get more attention as we turn them three times a week to ensure an even distribution of moisture through the cheese and brush them down to keep the mould rind to a manageable level. It’s been a good year for Brighton Blue as in addition to winning Super Gold at the World Cheese Awards, it was Highly Commended in the International Cheese Awards and received a Silver in the British Cheese Awards. It was also selected to be served as part of a British cheese board to passengers flying in Virgin Atlantic’s upper-class cabin. If you haven’t tried our world class cheese yet, what are you waiting for? Brighton Blue is available from farm shops and delicatessens across Sussex and beyond or bought direct from us at the dairy or online.